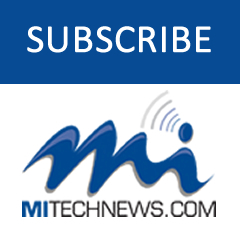 NOVI — Danlaw Inc., the Novi-based automotive electronics developer, announced the release of a new antenna intended for connected-vehicle applications. The Through Glass Integrated V2X Antenna pairs with Dedicated Short Range Communications (DSRC) wireless systems to enable vehicle-to-vehicle and vehicle-to-infrastructure communications. Traditional aftermarket antennas, require drilling holes or passing cables through window and door openings, which risks damaging vehicle seals. Danlaw’s dual-radio, glass-mounted antenna eliminates the risk of damaging the vehicle by using a coupling pair to pass DSRC signals between the vehicle’s interior and exterior. The antenna can be mounted on the rear, front or side windows using automotive grade glass adhesive. This flexible installation allows the shortest cable route to the V2X device, thus reducing signal losses due to cable length. 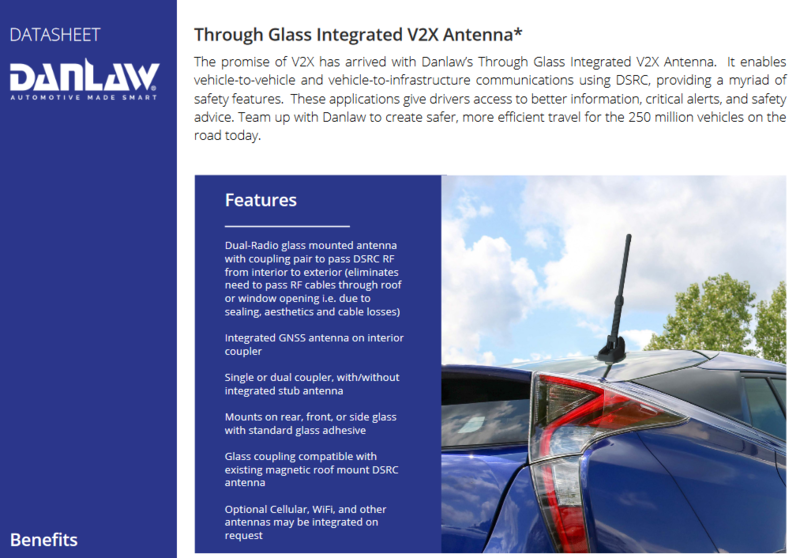 The antenna is part of Danlaw’s connected vehicle portfolio, which also includes an Aftermarket Safety Device (ASD) and V2X development tools. The ASD has been selected by pilot programs supporting multiple applications, including critical safety advice, driver access solutions, and real-time road condition and congestion information. Danlaw development tools include the OmniAir-certified Mx-DSRC Conformance Test System and Mx-Drive Mobility Simulator.